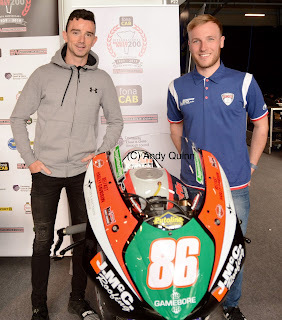 2018 Masters Superbike Championship 'Young Racer of the Year' award winner, Caolán Irwin, recently put pen to paper to confirm his 2019 programme which will see him return to the British Superbike paddock, to race in the Superstock 600 class. Caolán's 2019 programme kicks off in two weeks’ time with the official BSB test at Silverstone on April 9th. 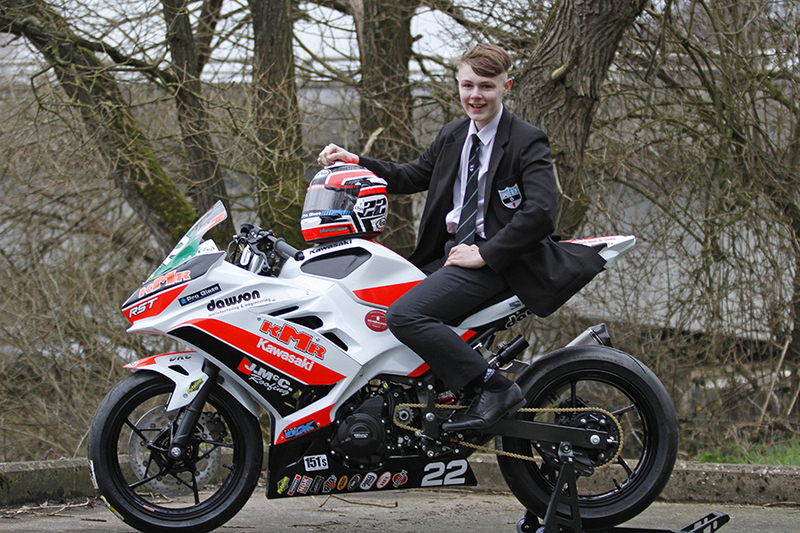 This will be the Kilmacrennan racers' first opportunity to sample his new machine, which is currently being built. 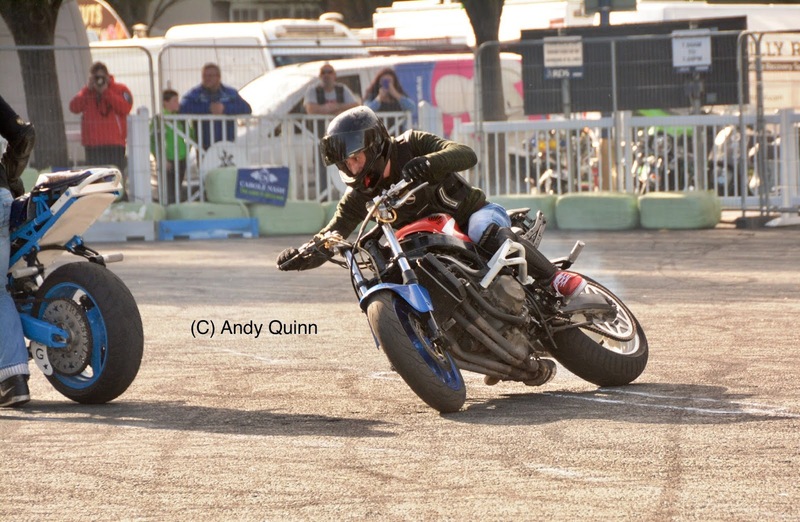 Following the test the team will have just ten days before the championship returns to the Northampton track for the season opener. 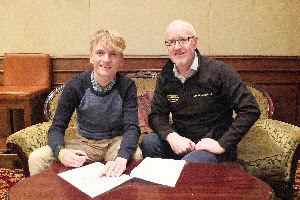 Having completed his deal with the Young Racer award organisers Caolán said “I am delighted to sign the contract to formally start my working relationship with the organisers and the associated sponsors. 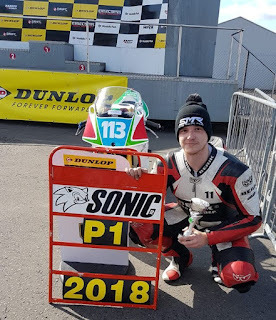 As I have said previously I cannot stress how crucial this award has been in the progression of my career as I prepare for a full season in the British Superstock 600 Championship. 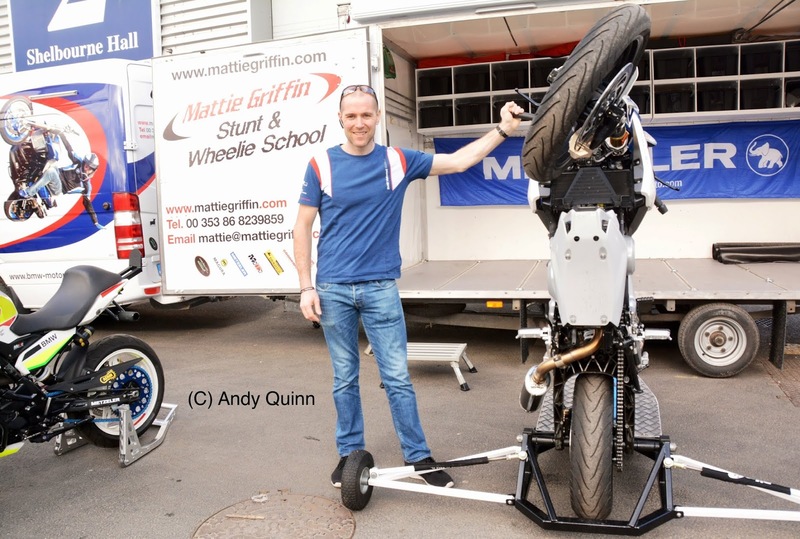 I have completed a very successful pre-season testing schedule with my team which will be released in the next few weeks. 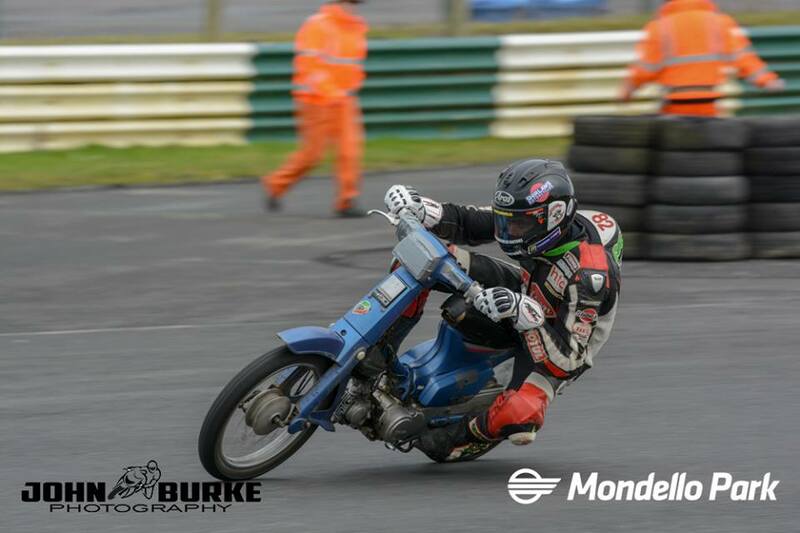 I feel very proud to be representing Mondello Park and the awards sponsors this season as it is a terrific incentive by the organisers to help young Irish racers make the step up to the next level." 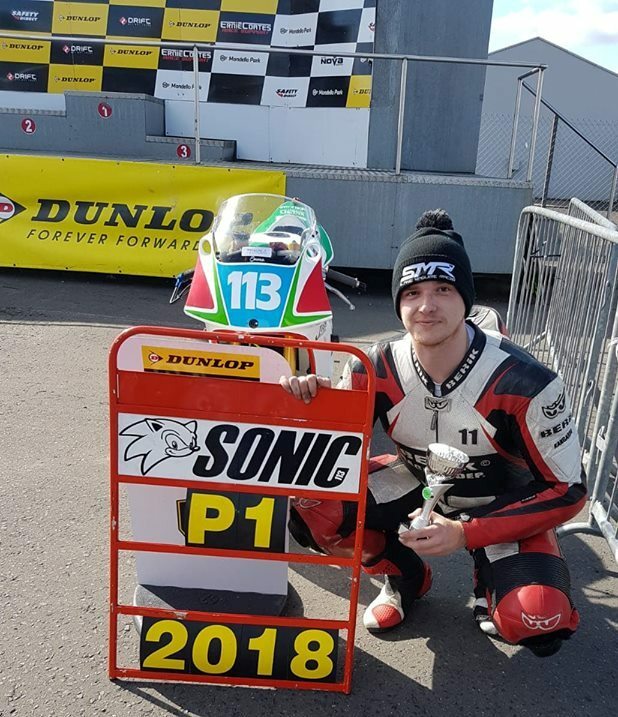 Irwin's plan is to compete in all of the British Superstock series and having taken his maiden podium in 2018, and finished in the championship top ten, the Young racer of the Year's aim is to lift the title at his second attempt. 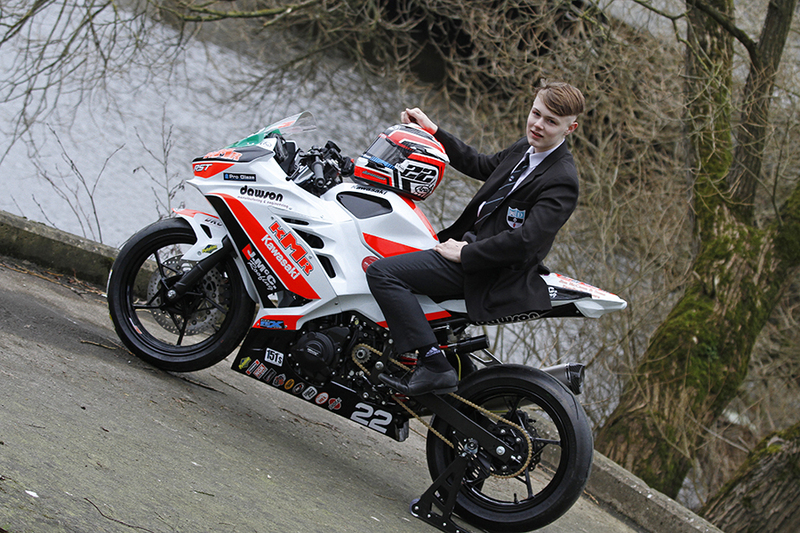 Alongside his BSB commitments, Caolán will also contest any non clashing Masters Supersport Championship rounds. 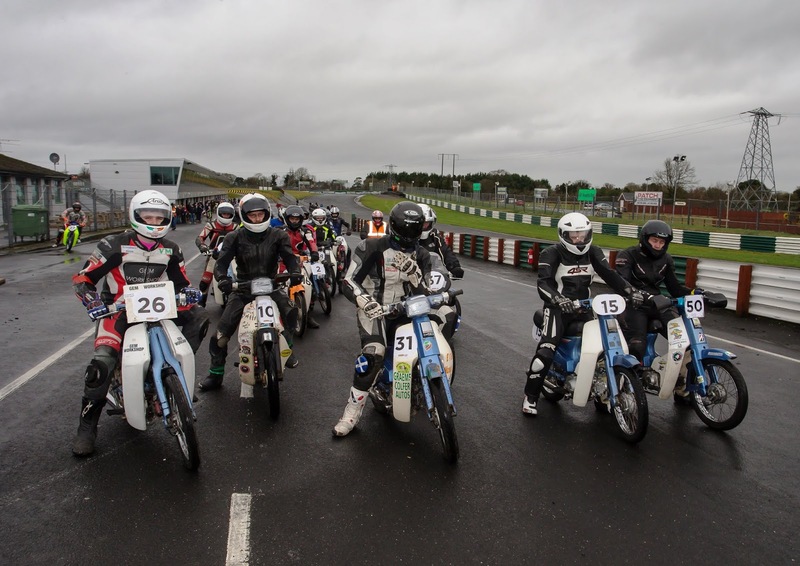 The annual Nifty 50 endurance event returned yesterday to Mondello Park providing a thoroughly entertaining day out for riders and spectators alike. 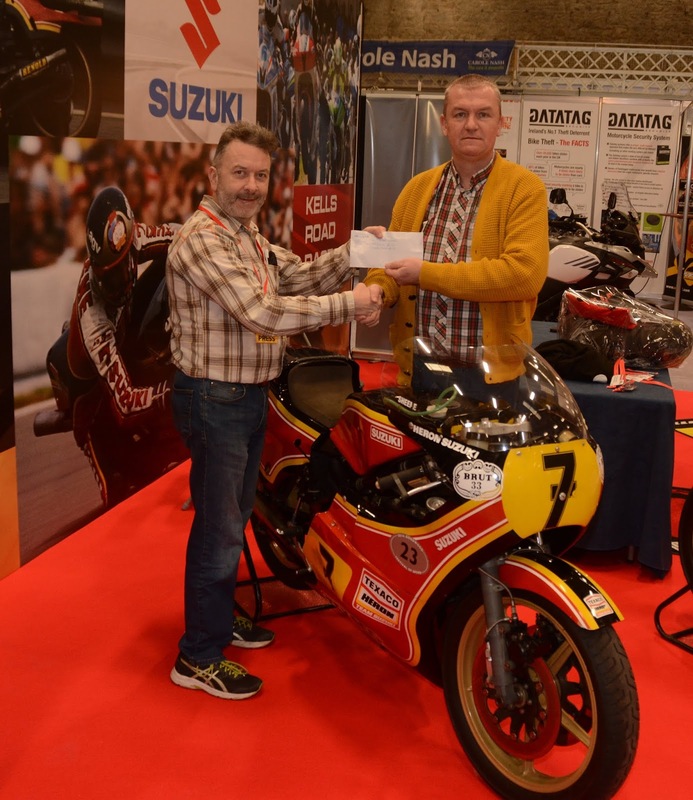 Now in its 10th year, the charity driven run goes from strength to strength managed meticulously by Blackchurch racings Ed Byrne. A packed field of 46 teams entered this year with an International cross section of riders from the UK, Isle of Man complimenting the strong contingent of Irish riders from the length and breadth of the country. 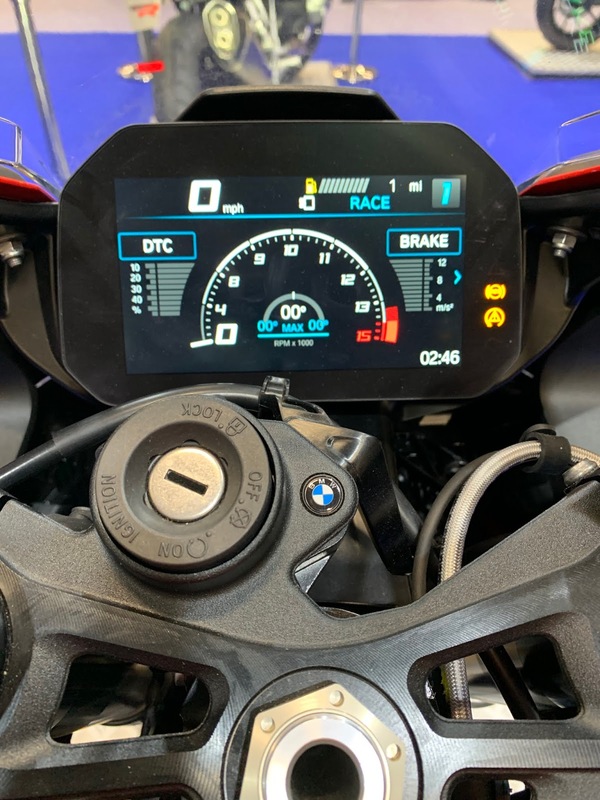 The day began for some well before 8am as the scrutiny bay opened for business, where the MCI Technical team provided this service free of charge. A flag seminar and anti-doping talk was given by Terry and Sheila Logan just before the start, who also kindly gave up their day to volunteer as Clerk of the Course. Some yellow flag indiscretions were reported during the practice session, so before the start another briefing was given to remind the participants about the importance of safety during the charity event. The pandemonium Le Mans start created the first talking point of the day as over-enthusiasm got the better of some riders who bolted early, meaning a restart was necessary and all riders were ushered back to the start\finish. This time, all went according to plan and the madness ensued. 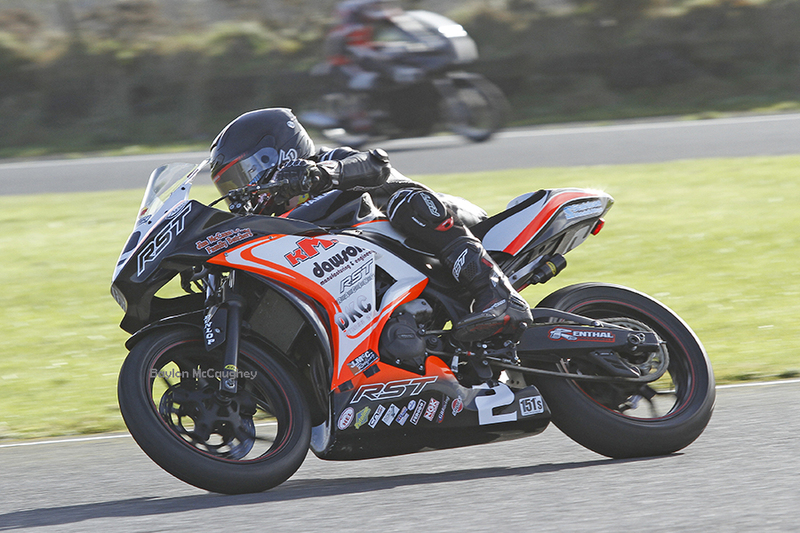 As the day progressed, the misty drizzle disappeared and some dry mild weather graced the drying track allowing lap times to drop. 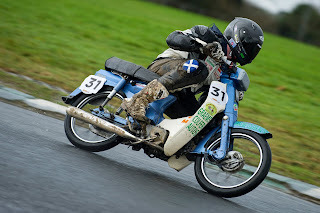 Some talented entrants had made the best of the tricky damp conditions and by mid-afternoon had built up a healthy lead. The rate of attrition then began to take its toll or machine and rider alike and the recovery truck was kept busy bringing battered bikes back to the pit lane for duct tape and cable ties but, by and large most teams last the distance from flag to flag. 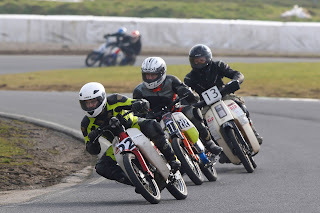 The afternoon flew in the sunshine and at 3.30 the chequered flag was raised ending a terrific event and another highly successful day where 44 of the 46 teams entered also finished. This event was run mostly by volunteers maximizing the funds that will be donated to the nominated charities. 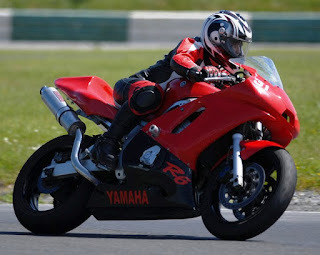 Mondello Park also offered 50% of the admission fee to which Ed and Andy decided would go to Down Syndrome Ireland. Huge thanks to Ed Byrne and his team Jordan and Mike in the tower, Sheila and Terry Logan CoC, the MCI Technical team for scrutiny, Jay Murray and Gerry Power plus all of the Marshals, Paul Grogan from Timing.ie, the Medical staff, the Mondello staff, Noel, Karie and Mattie running pit lane and photographers John Burke and Roy Adams. The entry to the 2020 Nifty 50 will open towards the end of the year and an announcement will be made on the Nifty 50 Facebook page. 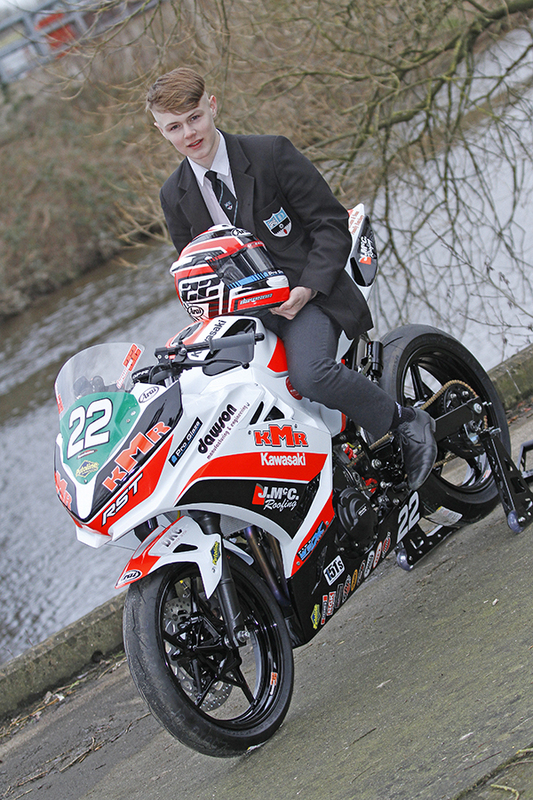 Fourteen-year-old Co Tyrone scholar, Cameron Dawson jets out to Spain next week to test his new Ninja 400 Kawasaki in preparation for his forthcoming onslaught on the Dickies Junior Supersport championship. For Dawson, this will be his second season competing on the mainland, where last year he rode in the Thundersport series, which gave him the chance to learn some of the circuits that he will race on this year. 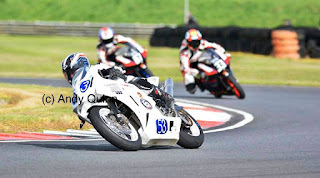 In his rookie year in Britain, Cameron took second place in the Superteen Championship, which saw him take wins and lap records at the final race meeting at Snetterton. 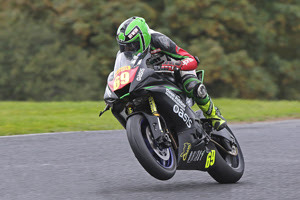 Combining his Thundersport championship, Dawson also found time to compete in the USBK Junior Cup Series, finishing third overall, despite missing rounds. 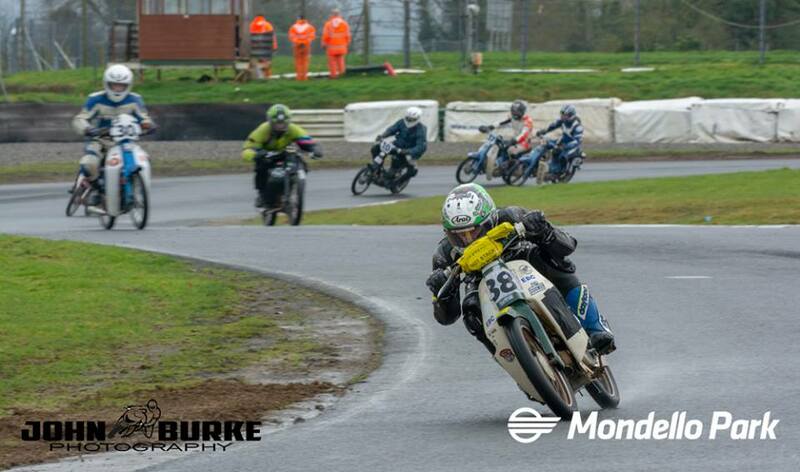 Now entering his third season of short circuits, the former Minimoto and Pit Bike champion, (having secured five championships) has already scored 16 wins and numerous podium finishes. Dawson will begin his 2019 racing campaign at the AJ Plumbing Supplies USBK Championship meeting at Bishopscourt on the 30th March. 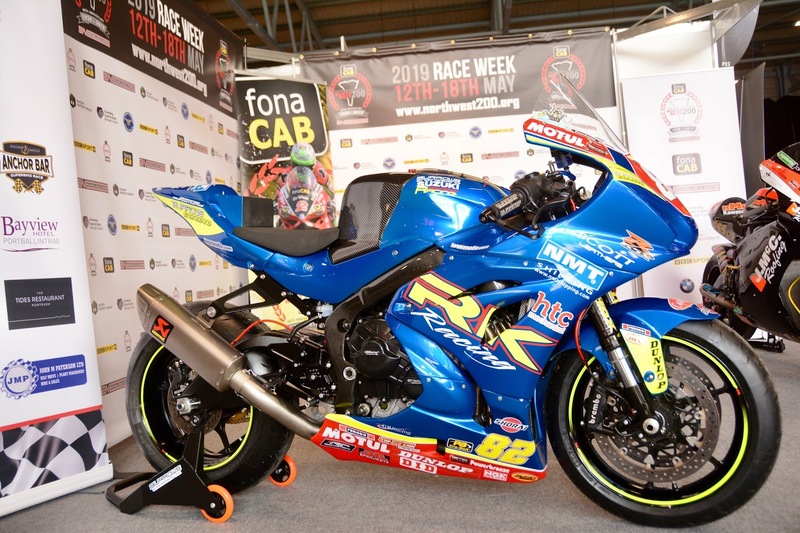 Easter Sunday will see the first of the 8 rounds of BSB 300 Supersport Championship take place at Silverstone, which will result in an overnight return home to compete at Kirkistown on Easter Monday. 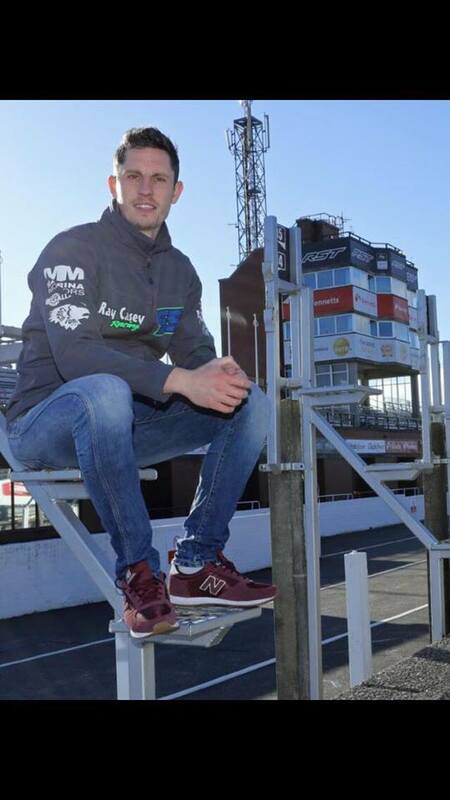 Certainly a busy season ahead for the Team KMR.Dawson22 race team, however before the race season starts, Cameron has another important date to fulfil, this Saturday night, Stormont Hotel , Belfast, being the venue for a Kick Boxing night, in which Cameron is one of the main contestants. 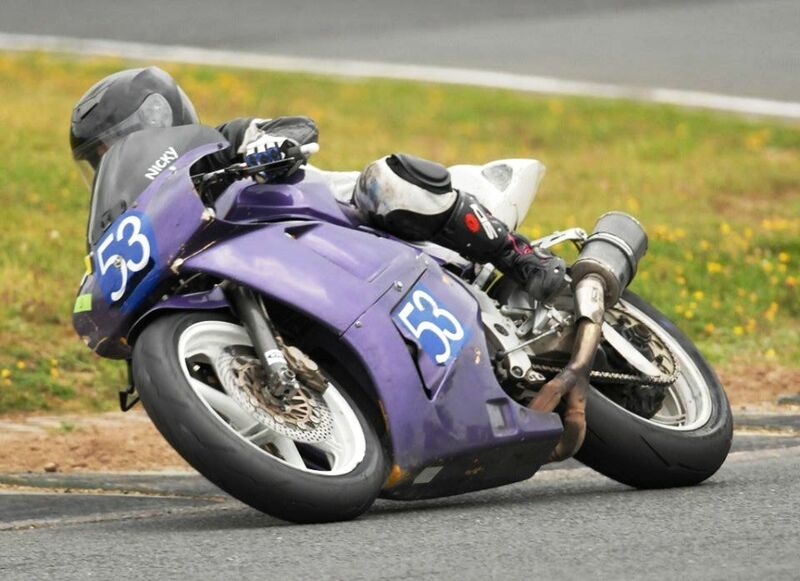 Roads and short circuit paddock regular Ray Casey has set himself the ultimate Road Racing challenge with an entry to the 2019 TT races. 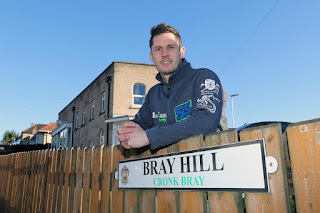 Having already competed at National and International level at Motocross, Short Circuit and Road Racing, the Cork born rider will take on the Isle of Man mountain track later this year on his RC55 racing Kawasaki 600cc Supersport bike. With an increasing level of fitness, respect and confidence Casey has never been more ready for the TT races, a meeting that is the pinnacle of Road Racing and a Mecca for riders and spectators alike. 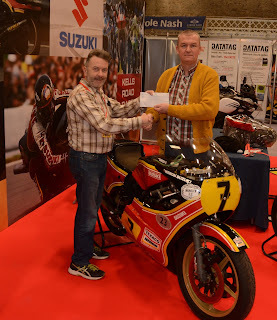 Ray recently dipped his toe into the International Road Racing waters by entering the famous Ulster Grand Prix on his privately owned and ran bike. Using the Nationals as a platform to promote himself to the International scene, Casey now believes the time is right to tackle the 37 miles Manx track. 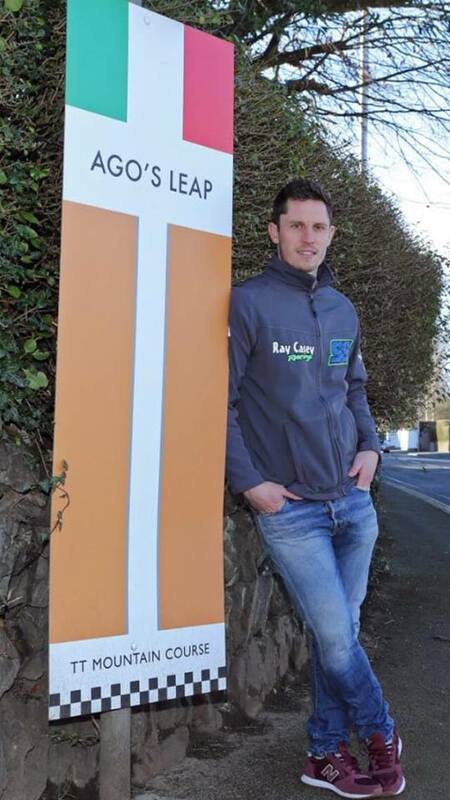 Funding the race is going to be just as daunting a challenge and a few events are planned. 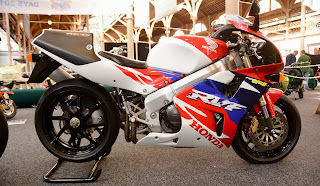 First up is the TT Launch night in Ristorante Rossini, 33/34 Prince street, Cork at 7pm on the 28th of March. 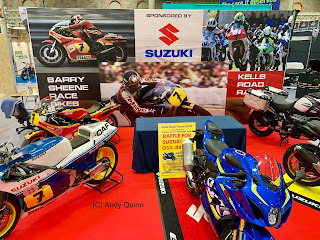 Tickets are €50 which includes entry to the launch, a 3-course dinner, chats with current racers, an auction, a Q&A session, Spot Prizes, photo opportunities and live music to follow. 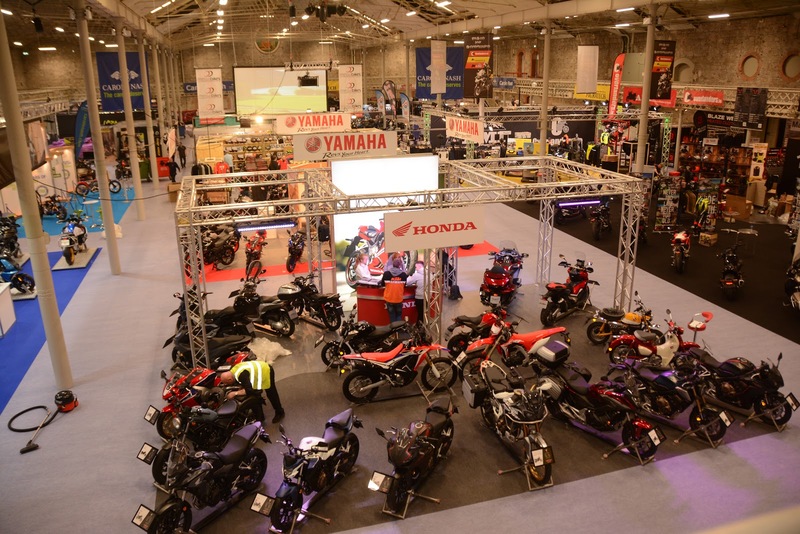 Tickets are available now at Marina Motors Glanmire and John Dunne Motors at Turner’s Cross. 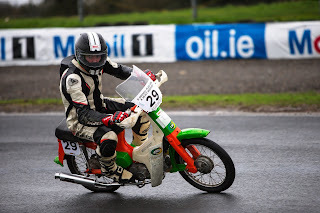 The longest event on the Irish Motorcycle racing calendar, the annual 'Nifty Fifty' charity endurance race, opens up the season at Mondello Park this Saturday, February 23rd. The event is one of the most popular and least serious races of the year and will be contested by a grid of more than thirty five teams as it reaches its eleventh straight year. 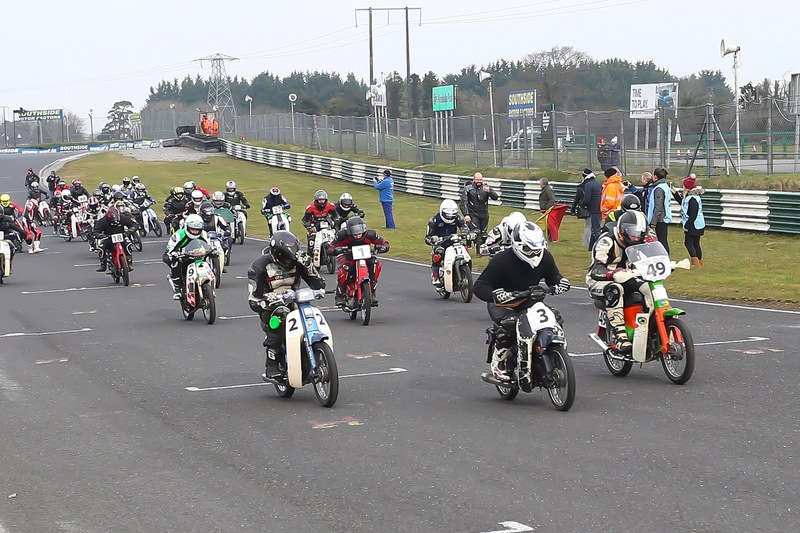 As well as blowing off the cobwebs for some of Ireland's top racers, the Nifty Fifty also attracts groups of hardy enthusiasts for whom this will be their one and only race of the season. While riders are attracted by the fun side of the event, it also has a serious side as it has been run in aid of various charities over the course of its ten year history, raising over €100,000. 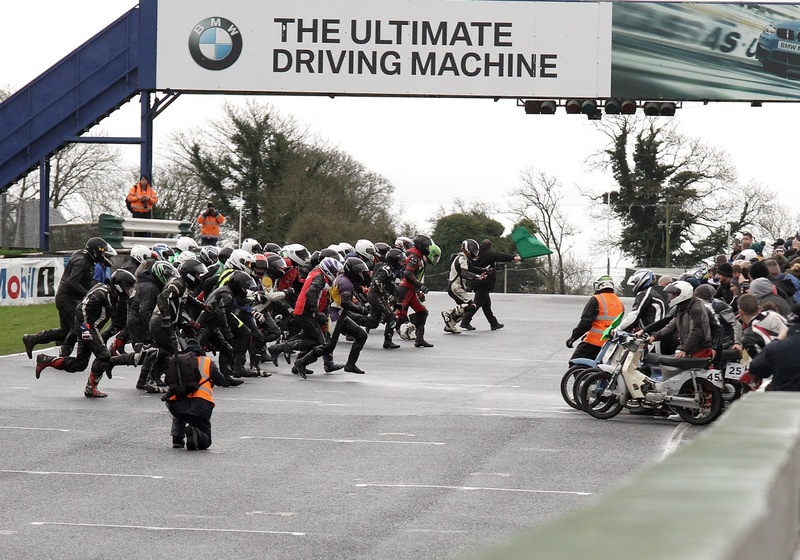 While the event may not be the fastest run at Mondello Park during 2019 it should provide some of the best entertainment, particularly with the usually chaotic ‘Le Mans’ style start. Competitors will race in three classes open to different variants of the Honda Club and Cub ‘step-through’ machines, so there will be battles going on right through the field. Each of the class winners will receive a cash award to donate to the charity of their choice. A portion of proceeds from ticket sales will also go to the events chosen charity, Down Syndrome Ireland. 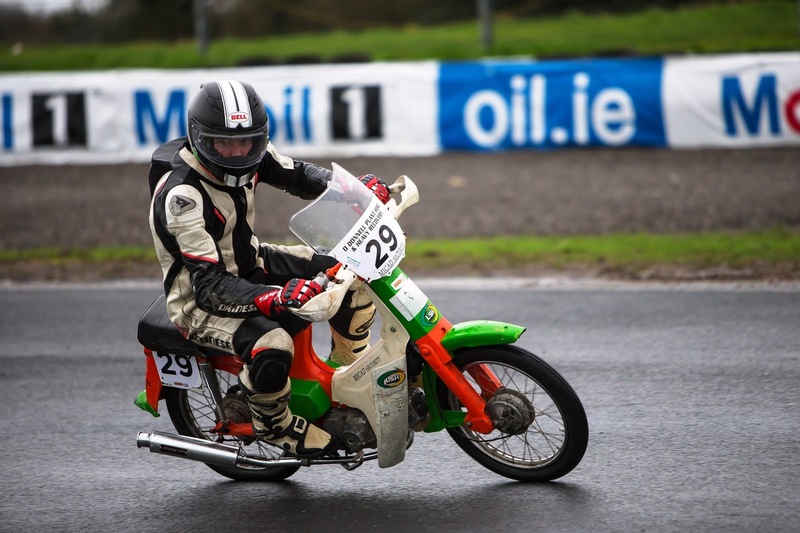 At the head of the race it will be the modified 90cc machines which will battle for the overall win, with big names from the worlds of Road Racing and Short Circuit Racing taking part. 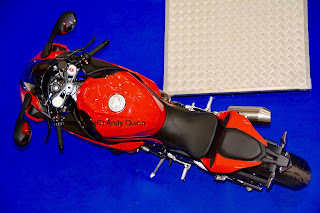 Classes for more standard 90cc and standard 50cc-80cc machines will make up the rest of the huge grid which includes ten overseas teams. In keeping with the relaxed nature of the event the timetable is a little bit looser than most race meetings. 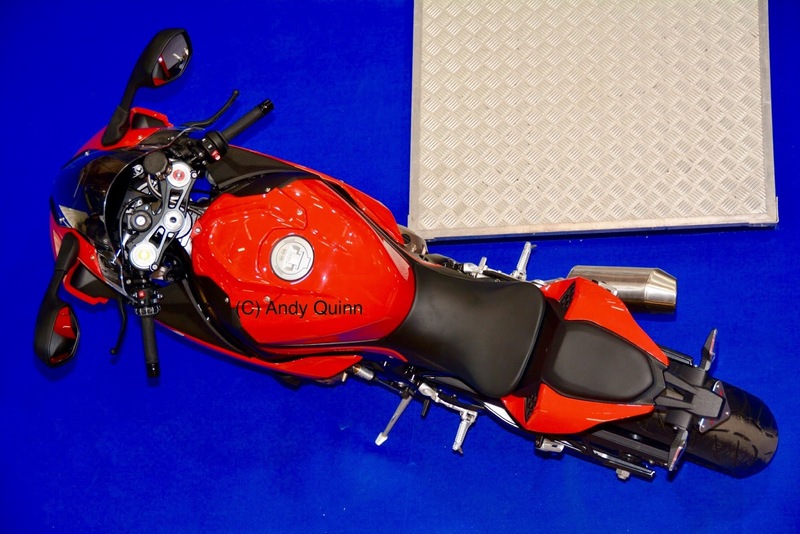 Scrutiny will start at 08:00 on Saturday morning with the aim of getting underway by 10:30. With daylight and temperature as limiting factors at this time of year, the race will run for as long as possible with a maximum duration of six hours. 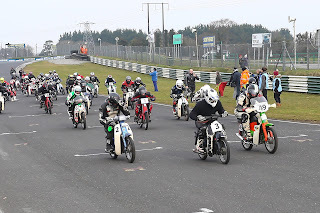 Admission to the 2019 Nifty Fifty is €12.50 for adults with under 16’s admitted free and the event can be followed via Mondello Park's on-line live timing. 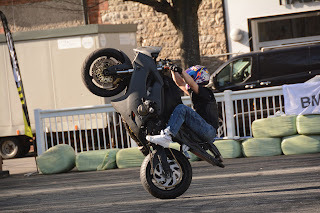 No Marshals No Race! - We need you! It's well known fact, across all forms of Motorsport that Marshals are essential to every meeting. 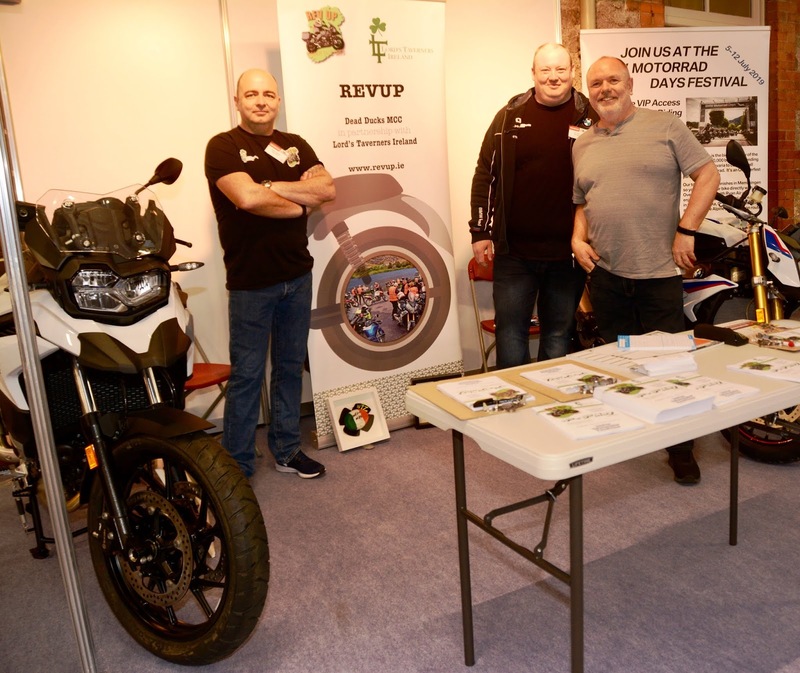 Radio marshals, flag marshals and others all perform a vital role in any motorsport event and Motorcycling is no different.Every year more and more are needed to fulfill meetings across Ireland so the drive to recruit new volunteers is important. 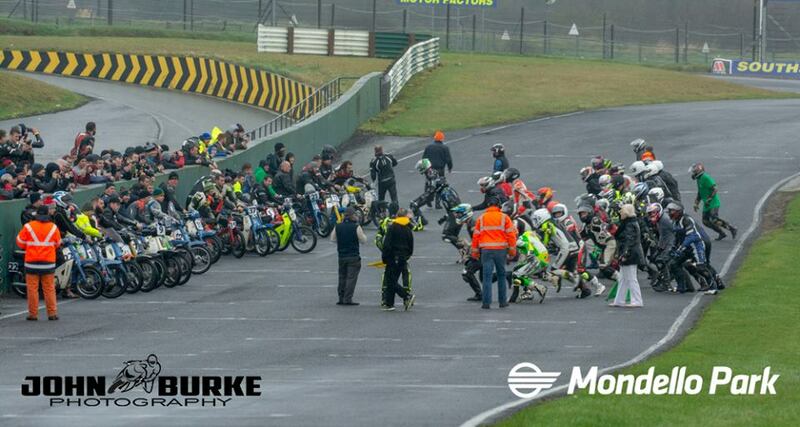 If you fancy moving from the spectators confined space to the exclusivity of marshal zones or would like to get more involved in Motorsport, now's your chance as the annual training days are scheduled for next month in Mondello. See the details below, or message us here for any details. 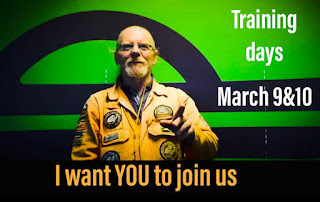 The Motorsport Marshals Association will be holding training days in Mondello Park on March 9th & 10th. We cover both car and bike racing and are looking for Marshals to join the team. 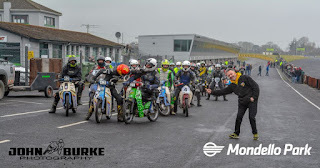 Saturday will be out on circuit marshaling the licence assessment day for new bike racers, if you've never marshalled before you will be put out with experienced Marshals who will explain the role of Marshals and you will get to experience what's involved in marshaling on a live circuit.Sunday will be in the classroom. 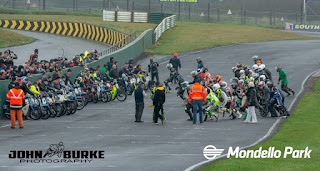 We will cover flags and their meaning, incident handling for cars and bikes and go through all you need to know about marshaling a race event.All are welcome to attend either or both days.Sign on for Saturday is @ 8.30 in the marshal room above the bar.Sign on for Sunday is @ 9.30 in the marshal room above the bar. 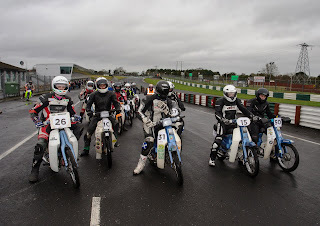 Saturday February 23rd next marks the end of winter and the return to Short Circuit racing in Ireland as Mondello Park hosts the now annual Nifty 50 endurance race. The 4 man team event is broken into 3 categories standard 50 to 70cc, standard 90cc and modified class. Riders can change at any time during the race but, it’s usually the levels of hypothermia that a rider can endure that determines this! Beginning with an elegant Le Mans start the race generally lasts for 6 hours depending on weather, machine reliability and daylight so expect plenty of track time. Each of the category winners donate their prize funds to a charity that they nominate so everyone’s a winner really. Previous entrants include Guy Martin, Jeremy McWilliams, Scott Redding, Glenn Irwin and William Dunlop to name a few proving that it’s a high profile event. 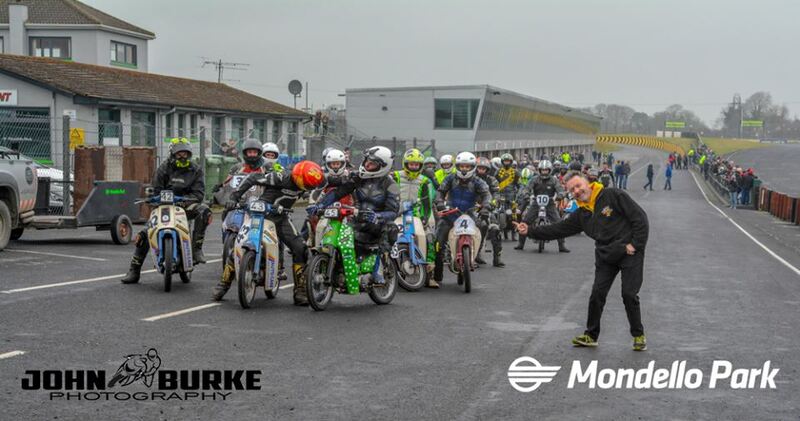 While it is run as a charity event, it still has to be licensed to run by the Irish Motorcycling body the MCI and as such normal rules apply regarding bike scrutiny and helmets\leather so visit the Nifty 50 Facebook page for more information. We’ll be there commentating and running live timing so if you’re at a loose end, get down and support the event for a laugh and the money taken at the gate contributes to the prize money that the charities receive. 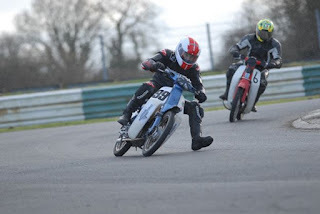 2019 racing class: We are still trying to get something organised for 2019, but it’s looking like we might be competing in the pre-injection class. 1. Coming from a distant 3rd on the last lap, to take the win on the last corner at Mondello ahead of Jason Floody and James Ging. 2. 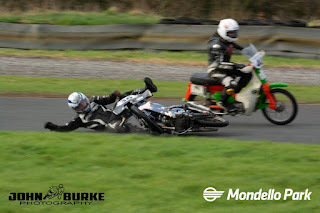 The last race of the season against Damian Horgan and Alan Smyth, were I managed to lead the race from start to finish. 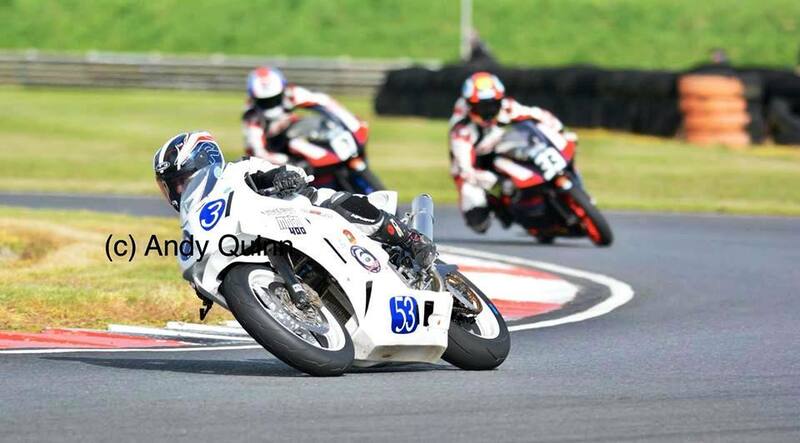 Both races you couldn't have put a cigarette paper between the 3 of us at every corner of every lap. Always good close racing among friends in the 400 class. Ambition or goal: My ambition was always to be a road racing champion, but at the moment my goal is to just enjoy my racing and have the craic with my racing family and team. Fill in below what your plans are for this year including people\sponsors, bike information and fundraising activities. 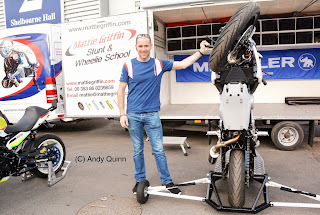 We have no concrete plans or sponsorship arranged for 2019 as of yet, but we are planning to be out as much as we can. I’m toying with the idea of running a raffle or maybe setting up a supporter's club, but it’s all just ideas at the moment. 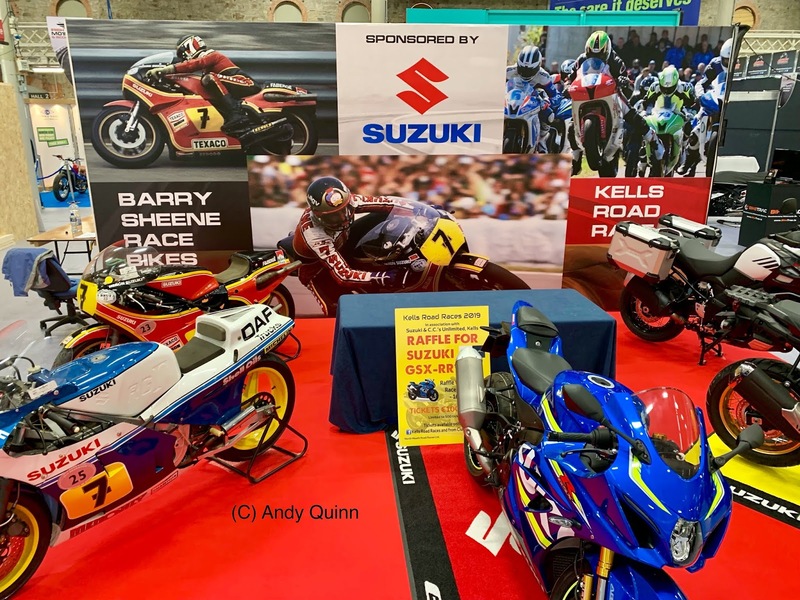 if we do decide to go ahead with any of these fundraising plans, they will be announced on our Facebook page (Slane Maguire Racing). 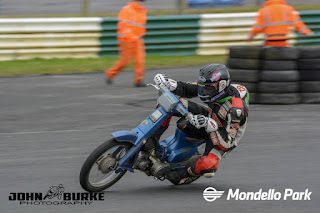 I’d like to take this opportunity to thank everyone who helped me achieve my goal of winning the Dunlop masters lightweight 400 championship last year. Everyone who supported my fund raising calendar at the start of the year. Without them all none of it would have been possible. 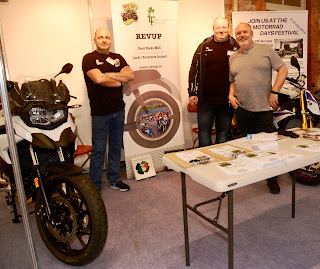 All the SMR Team, especially my girlfriend Emma and good friends Mags, Dave, Evan, Lee, James and Mark. 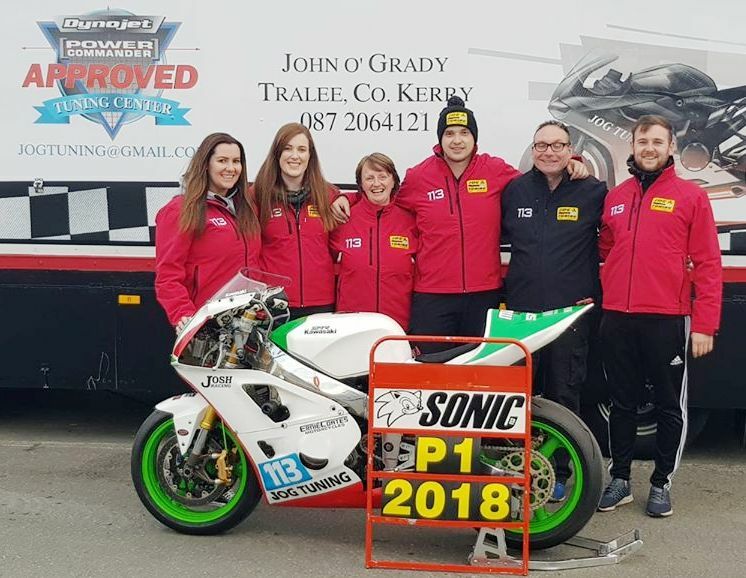 Ana Carrasco has done wonders for women in sport after winning the 2018 World Supersport 300 Championship. 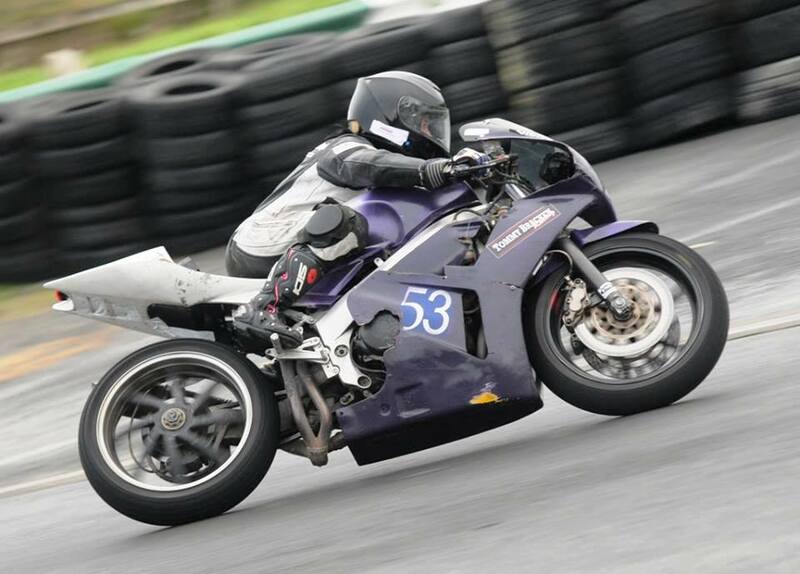 We'd love to see more women racing in Ireland, so we caught up with Cork's Nicky Farrissey for a word about her experience. Ambition or goal: To get faster!!! 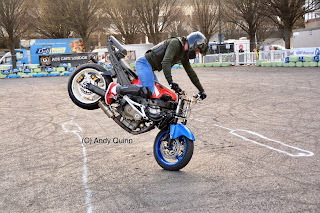 Advice for new competitors: Make sure your bike is in perfect order and remember too have fun its no good if you’re not having fun out there. 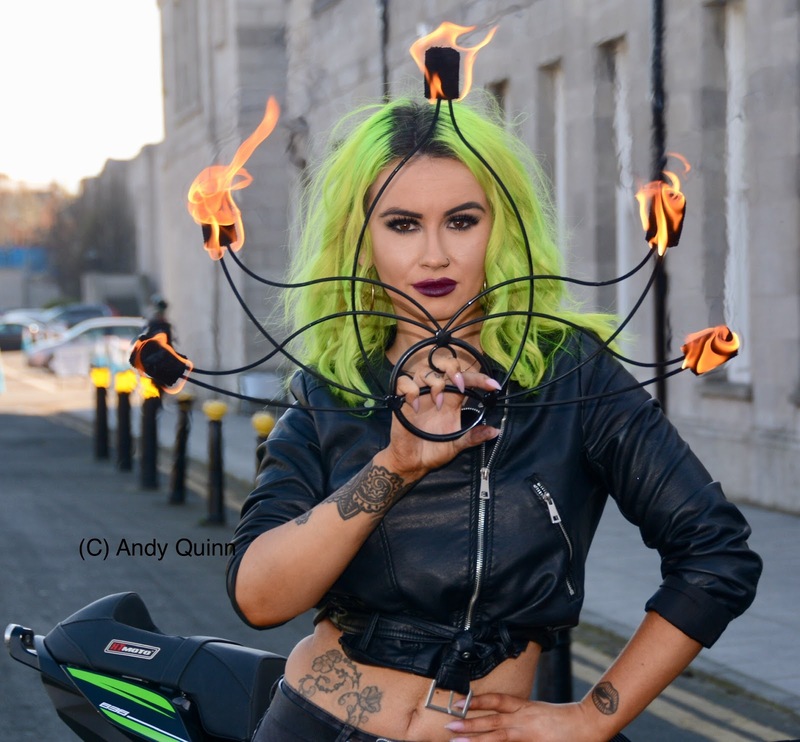 Don’t forget that no matter who you are and no disrespect to those at the top Male, Female, Young, Old, Superbike to Support, 1st or last. A few nice memories come to mind. I was given a book last year too read by someone who has always given encouragement from day 1 he’s always said “don’t underestimate yourself Nicky”. Great advise that I really need to remember. I have never had a sponsor my first year racing we went up too Mondello with a borrowed van and a borrowed (all given back) marquee. We did not have the common sense too bring a heater so kinda froze sleeping in the back of the van (lols!) the next morning water in the glasses had frozen we always bring a heater now. 2015 was a bad year for me racing. 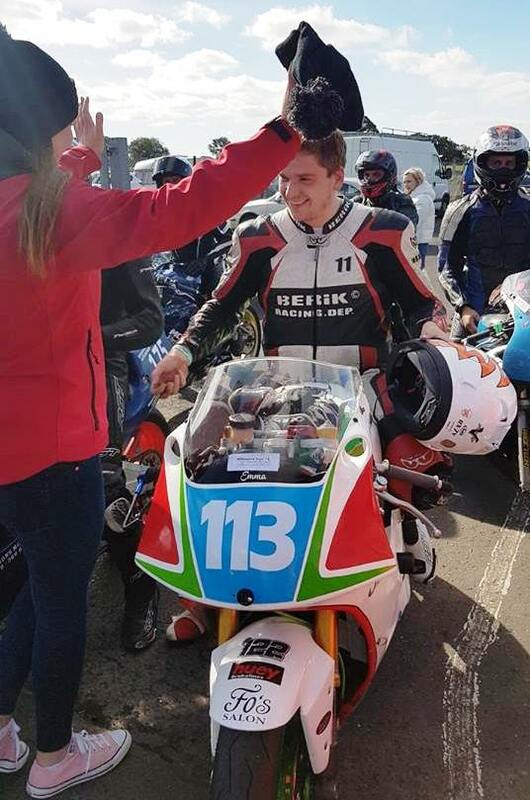 When I got back on the saddle in 2016 I had problems with my bike but, a dear friend that used too race very kindly and bravely offered me his 125 Aprilia. He was fantastic; I wish I could have done better for him. Another act of kindness I will never forget. 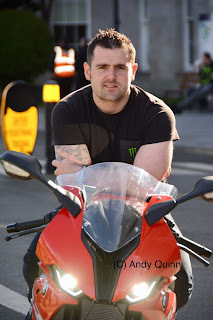 When I was travelling up too race on my own I was never alone when I pulled up too set up there was always the kindest lady too help me put up my marquee, again more kindness I’ll never forget. The memories go and on and there are so many more too tell. The reason I am sharing these few memories is let anyone thinking of starting in this sport know that it is not like any other sport you will find. It is thrilling and exciting, challenging. Yes it will break your heart as well as make it sing and you will find the some of most wonderful people you could ever meet. 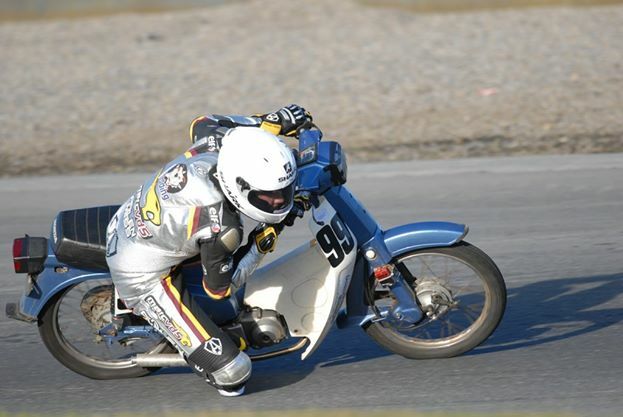 I have been involved with a few different sports and that’s why I stay with this one. I was kindly allowed too take one for a spin last year loved it! !